I trace the origin of this difficulty to none other than Freud, the father of modern psychotherapy. Although I studied sociology, not psychology, my dissertation focus when in school led me to delve into his writings at some depth. Given his level of influence on the lives of many millions of us, specifically in the form of going to therapists as a primary approach to attend to our woes, I found it exceptionally striking that his understanding of human nature and of human life was fundamentally pessimistic. Without getting into the intricate complexities of his worldview, suffice it to say that he believed that a fundamental tension existed between individual and society, our makeup and life around us, our innate drive for pleasure and what he called the reality principle. A successful negotiation of the intense dramas of childhood, according to some of his writings, involves a renunciation of our untamed wishes, which would allow us to emerge into adulthood ready to align ourselves with the reality principle. Since, as he suggested, this outcome is rarely achieved, what happens instead is repression of our wishes – an unconscious process rather than a consciously negotiated one. 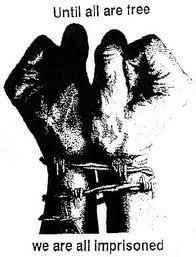 Under conditions of repression, we are still slaves to our unconscious drives and wishes. This is why we would need to seek support from a trained professional: so we can surface the unconscious parts of ourselves and, with the help of the therapist, find a way to accept the impossibility of fulfilling our desires, leading to a conscious renunciation and adaptation to the reality principle. Freud actively showed disdain for what we want, for our vulnerable needs. In that sense I see him as having sided with the structures of oppression in the world even as he called attention to the extremes of human suffering. The ultimate goal is acceptance of the impossibility of satisfaction, a sober kind of strength to face the reality of life. In terms of specific instructions for therapists, Freud didn’t leave much behind him. What little I was able to find highlights the role of the therapist (or analyst, in his terms) in supporting the “patient” to adapt to the reality principle. For example, Freud specifically and repeatedly admonished therapists to refrain from offering affection to their patients. I still remember my heart cringing as I read his words, insisting that the patient must experience the absence of satisfaction as part of the process of therapy. Why does it matter what Freud thought, you may wonder as you read this. Indeed, the proportion of practicing therapists who literally follow Freud’s path is vanishingly small. Even “classical” psychoanalysts are no longer, for the most part, doing their work in the way that Freud instructed, certainly not psychotherapists of other kinds. So why am I talking about Freud? The reason is that I believe that Freud shaped the future of the field he spawned, making it adaptive rather than revolutionary. The very focus on individual therapy, and the larger frame of personal growth, are strictly limited to individuals changing their internal ways of being rather than joining others to change the conditions that make so many people’s lives unbearable, materially and/or spiritually. To be sure, some schools of psychotherapy, such as feminist psychology, are specifically designed to empower people to rise up from their atomized existence to examine the conditions of their lives, to find the larger social context within which their suffering could make sense. Consciousness raising groups, for example, supported masses of women in reaching an understanding that what seemed to them to be their own personal troubles or deficiencies were shared by many other women. So many, in fact, that more and more women were no longer willing to find ways of adapting to the demands of their lives. Collectively, this shift in understanding and growing lack of willingness on the part of large numbers of women at once lent huge support to the possibility of transforming the societal structures that upheld the privilege of men over women. Similarly, the young men and women of the Civil Rights Movement certainly refused to adapt and adjust to a world in which they had differential rights and reduced access to public resources. Most certainly, stepping up to lunch counters where they are barred from entering, or engaging in a bus boycott, are maladaptive behaviors. From the point of view of the forces in power at that time, the only logical response was to oppose the requested changes. It is only the willingness of the activists to endure sometimes extreme consequences that paved the way for changes on the structural level. It was, precisely, each person stepping outside of the individual calculus of safety and adaptation and embracing the hope that together with others they could be powerful enough to create change, that made mobilization possible. We live in a world in which growth is the fundamental imperative. For almost any business, it’s grow or perish. For as long as we, as a species, could pretend to ourselves that we essentially had unlimited resources and that nature was an inert “substance” from which we could extract resources indefinitely, the growth imperative could be absorbed. In recent decades, and more and more so in the recent past, we know that there is no such thing as sustainable growth. We are already consuming about 50% more resources than the earth can regenerate every year, without any significant plans for changing course, only an increased pace of consumption. Within this context, the idea of personal growth troubles me even more, because to me language is rarely neutral. Our choice of words tends to support this or that worldview or set of practices. Whenever I shift the language in my mind from personal growth to personal liberation I feel a difference, the very language freeing me from complicity with a system I believe to be ultimately destructive to all. This is precisely what I mean when I speak of personal liberation: it is, in essence, the freedom from complicity, adjustment, and adaptation, however subtle they may be. It’s the freedom to examine every last one of my thoughts and actions, to trace its origins to the larger systems that have contributed to me being me. These are many, and I will only name a few examples: the culture into which I was born, which was the secular Jewish context in Israel of the 1950s and 1960s; the social structures that constrain what I can do or be as a woman; the choices available to me within a capitalist order for pursuing my goals in life; and others. In effect, all of my and everyone else’s most personal experiences take place within a social context that shapes what’s possible for us to see, hear, interpret, feel, and even, in the end, desire. Personal liberation, to me, brings me to growing willingness to speak truth, to show love, to question authority – when such practices are uncomfortable or censured. Taken far enough, personal liberation will allow me to stand up to the social order, to work with others to transform it, and to make choices that may entail personal consequences in support of all life. All of this brings me back to Marshall Rosenberg’s concern. From the perspective of someone with the skills to offer people relief with their personal suffering, how do I best serve them? Most pointedly, how do I find a way that doesn’t pit individual relief against the possibility of creating change on a larger scale that would benefit and relieve many more people? Put differently: what can I do to support personal liberation rather than simply contributing to personal growth when I work with individuals or groups? These questions are ones I am continually asking, and have been, for years. In one way I can say that my writing, this blog in particular, have been part of my attempt to contribute in exactly that kind of way. I will make it no secret – I want to inspire as many people as possible to liberate themselves from notions of what’s appropriate, normal, or even acceptable, and embrace a radical freedom that remains both caring towards others and uncompromising in its vision of what’s possible for all. I want enough of us to emerge from our modern, Western isolation, into a free, interdependent way of living. As individuals, we may not amount to much. As participants in communities of struggle, our very existence might contribute to social transformation. Click here to read the Questions about this post, and to join us to discuss them on a conference call next Tuesday, September 3, 5:30-7 pm Pacific time. This is a way that you can connect with me and others who read this blog. We are asking for $30 to join the call, on a gift economy basis: so pay more or less (or nothing) as you are able and willing. This entry was posted in Uncategorized and tagged Uncategorized on August 29 / 2013 by Miki. Another brilliant and challenging essay, Miki.